I’m SO sorry this is last minute, but I wanted to make sure you all know that tomorrow at 1pm I will be speaking for FREE in Sonora, CA! Turning off of Tuolumne Rd. or Standard Rd. (depending on which way you’re coming), into the warehouse/storage area, you will see a road turning into the warehouses that has a sign advertising dance. Once you turn in there, it will vear to the right and you will see a large Century 21 sign advertising a building for sale. Turn left at that sign and then the immediate right. You will see lots of cars and the warehouse that we are in will be on the right. PHEW! Did you get all that?? 🙂 Just incase you didn’t you can text me at 785-477-4988. WHAT WILL I BE TALKING ABOUT??? I really hope to see you all there!!!! FOR ALL INFO GO TO OUR FACEBOOK EVENT PAGE HERE! NEWS!! NEW “Empowered Woman” START DATE!! I just wanted to give you a super quick heads up that after speaking with the current participants of the new Empowered Woman program, we have all decided to push it back a couple weeks! THE NEW START DATE OF THE EMPOWERED WOMAN PROGRAM WILL BE FEBRUARY 25TH! Even though we have formed a pretty good group, I am going to open up a couple more spaces just in case a few of you have been going back and forth and weren’t ready to dive in yet. I am SUPER excited about this next group, I can feel the positive energy already from the women who have already signed up! So, if YOU are looking for a way out of all your health issues…if you’re looking for someone who will hold your hand through the healing process….if you are ready to stop going for “quick fix” methods that don’t work and ready to heal your body, mind, & soul at a foundational level, then now is the time for you to take that leap of faith and….JUMP! I am starting health assessments already for the next group! 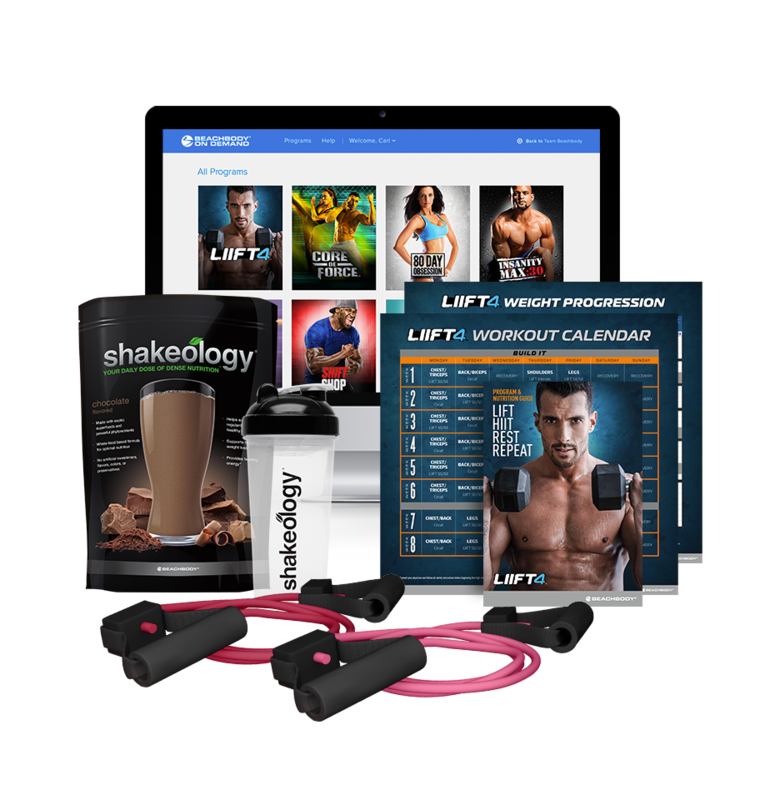 I cannot wait to get started and see a whole new group of results! It is the most rewarding thing in the world to see someone go from a health mess to a health MASTER! If you have any questions, I would love to speak with you over the phone. Email me at Jessica@JessicaLopezRN.com so we can set up a time. I just looked at the calendar and I cannot believe how time is FLYING! I am SO excited for what this month holds, there are tons of exciting things planned, ONE of the most exciting being the start of Group 2 of The Empowered Woman!! To be honest, with my crazy schedule ahead, I’m not sure when another group after this will be starting again and I would HATE for you to miss out on this opportunity to be nourished to the core- mentally, physically, & spiritually. We are having way too much fun over here learning tools that can GREATLY impact your life and change the direction of your future! I am NOT a sales person, I am NOT trying to manipulate or coax you into anything, I just want to get the word out to the right women who have been desperately searching for the answers to their health issues and who want to protect themselves and their families from becoming the next health statistic. Hormonal Horrors such as infertility, PMS, hot flashes, PCOS, or endometriosis? Digestive disasters such as bloating, indigestion, heartburn, constipation, gallbladder issues, or pain? Chronic fatigue even to the point of being an autoimmune diagnosis? Chronic inflammation and pain in certain areas of your body or just all over? A weak immune system that has you feeling down in the dumps constantly? Anxiety or depression that disables you from living a normal happy life? Inability to handle stress due to chronic exposure to it? Being COMPLETELY overwhelmed with all the information and opinions out there? You just want to know what’s right for you! Inability to lose weight no matter what you do? Mental or emotional barriers that you know are holding you back but you don’t know how to deal with them? A lack of spiritual nourishment in your life? These are just a few of the areas we cover in this comprehensive, uplifting, and effective women’s health program. I KNOW there are thousands if not millions of women out there who are looking for exactly what I have to offer in this life changing program. I’m not able to help everyone, but I am able to help YOU! Please contact me ASAP at Jessica@JessicaLopezRN.com to secure one of the final few spots left in this next group. I promise you won’t regret it! No one will work harder to get you healthy! Being the beginning of the year, many of you are determined to live a healthier life & lose weight, so I thought I’d talk about one of the huge factors that may be standing in the way of getting rid of the ole’ tire around the waste. Yep, we’re getting real. We’re getting personal. We’re talking about poop! In nursing school, I was taught that anywhere between having a BM (bowel movement) 3 times per day to every 3 days was considered “normal”. Sorry nursing school, but that just can’t be right. Think about it. How many times do we eat??? ATLEAST 3 times, and for most people it is 3 meals and 3 snacks. How does it make sense for us to eat that much food and only eliminate once every 3 days? That’s just silly! The truth is, optimally, we should be going to the bathroom atleast 3 times per day. I know…I know…you’re thinking, Jessica Angelina Lopez, you are CRAZY! I promise I’m not trippin guys. It’s true! For OPTIMAL health, to feel your best, have lasting energy, clear skin, a healthy liver, a flawless digestive tract, this is what should be happening. Magnesium is ESSENTIAL for smooth muscle contraction, including the heart and the wave like motion (called peristalsis) that pushes food through the digestive tract. A deficiency leads to poor digestive function including constipation. This refers to an intestinal wall with microscopic holes in it from yeast, fungal, and parasite damage from a poor diet and candida overgrowth. Small particles of food and toxins get through these holes causing a myriad of problems in the body, and one of them being constipation. Unfortunately constipation also causes leaky gut syndrome, and it must be dealt with immediately- This is where my epic health programs come in!! Have you ever tried laxatives or even natural herbs and herbal teas such as cascara sagrada and senna leaf? Sorry to be the bearer of bad news, but all of those options are no good for solving the problem of constipation. Unfortunately back in the day I was a victim of these teas and colon cleanses that force the colon to expel. When you use these methods, especially over a long period of time, your colon basically says “screw you”, and stops working on it’s own, hence the term “lazy colon”. The only way to retrain your colon is through a series of colonics or colon hydrotherapy. You MUST get in loads of fiber on a daily basis. We are NOT talking about Metamucil or the average fiber chews you get at Walmart. I’m talking about REAL FOOD FIBER! Chia seeds, flax seeds, the 4 seed-like grains (quinoa, millet, amaranth, buckwheat), lots of vegetables and some low-sugar fruits, and some approved fiber products from trusted sources such as Renew Life, Garden of Life, or Dr. Mercola. If your liver and gallbladder are clogged up, it will be nearly impossible to have a functioning digestive system and even harder to lose weight. It is CRUCIAL to take care of these organs. In my health coaching programs, such as The Empowered Woman, I safely teach each person how to cleanse their liver and gallbladder. It is built into my programs to ensure each person is ready for this step. Cleansing and detoxing CAN BE DANGEROUS! So, make sure if you do this, you are working with someone who knows your body very well and can tell if you are ready or not. There is alot to know when it comes to hormonal balance and it dramatically affects your metabolism and digestive system. If your adrenal glands are shot and your thyroid is slow, you will nearly always struggle with constipation. It is ESSENTIAL to support these areas, and when you do…whoa nelly will you see an improvement in your life! A dehydrated gut will not work. Period. Shoot, a dehydrated body will not work! DRINK WATER PEOPLE! And not just any water. You need to be drinking fresh alkaline spring water to be exact. This is SO important, that I devote an ENTIRE week to water in my program! What happens when you get nervous? What do you feel in your stomach? Knots? Butterflies? Sick to your stomach? Think about it, your BRAIN feels nervous and your STOMACH feels sick. See the correlation? Stress depletes your body of magnesium first of all, but it completely shuts down many of your body’s systems to prepare you for something intense. This is why it is called “fight or flight” system. Your sympathetic nervous system is ignited when you are stressed causing a chain reaction of events to occur in your body preparing you to run away from a bear, give you super powers to fight a mountain lion, or lift a car…I know extreme, but get my point? This is NOT the optimal situation to make sure you are pooping properly. Well, for some people I guess it encourages the situation since we have the expression ” I’m going to crap my pants” when someone is scared. But for the most part, it shuts down your systems so all the blood goes to your extremities to give you the maximum energy to do what you need to, to survive. So, slow down and relax to dramatically improve your digestion. PLUS this is crucial for anyone wanting to lose weight. Stress causes that cortisol tire around the waste. PROBIOTICS! There are only a few brands I recommend to my clients, so make sure it’s a good brand! SUNRIDER FOODS!!! I can’t say enough about how these amazing foods have impacted my digestive system & health! Superfoods such as chlorella & Spirulina. There you have it folks. Have fun cleaning out the junk in your trunk! Remember, if you ever would like a FREE consultation for one of my health programs to get on the “Fast Track” to healing your body, mind, & soul for good, you can email me directly at Jessica@JessicaLopezRN.com or use my calendar link here to schedule your appointment and see if this would be a good fit for you!